How well do you know the one you love? And how far would you go to find out? When Lauren Chambers’ husband Michael mysteriously disappears, her search uncovers Michael’s hidden past involving the FBI, international assassins–and shocking government secrets that some will go to great lengths to keep hidden. As The Hunted hurtles toward a conclusion mined with turn-on-a-dime twists, no one is who he appears to be–and nothing is as it seems. The Hunted serves as the introductory novel in the OPSIG Team Black series. 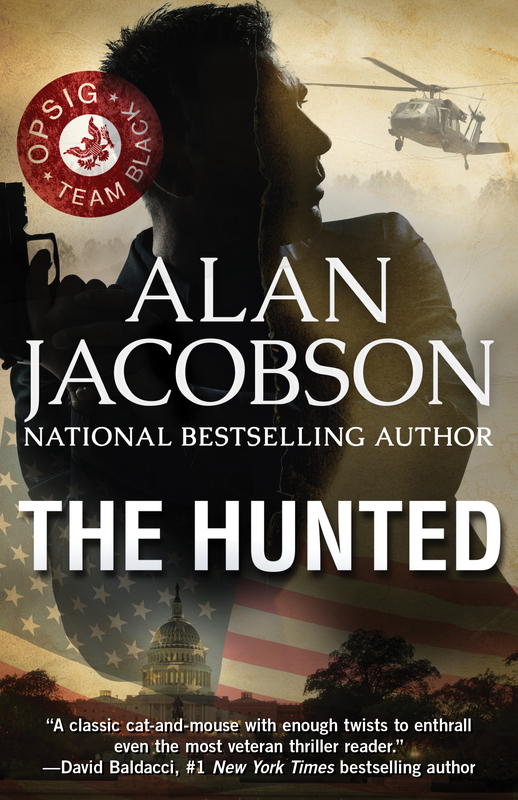 Characters who debuted in The Hunted that reprise their roles in later Alan Jacobson OPSIG thrillers include Special Forces operative Hector DeSantos and his colleague Troy Rodman, FBI Director Douglas Knox, and former CIA operative Anthony Scarponi. I hope you enjoyed the twisting ride that I took you on in The Hunted. If you haven’t yet read it, bookmark this page and come back to it after you’ve finished it.